Get the latest news, offers, and more about the AI Conference and the topic of artificial intelligence. great, great, great! I literally can’t wish for more information within 40 mins. when will the slides be put up? 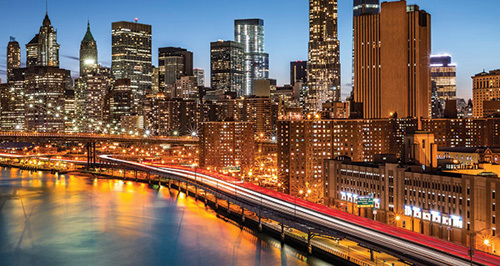 The Artificial Intelligence Conference in New York Video Compilation, with recordings of all tutorials, keynotes and sessions (subject to speaker consent), will be available in O'Reilly online learning approximately 3 weeks after the conference ends. Watch the recorded tutorials, sessions, and keynotes in O'Reilly Learning. Get the AI insights you need to drive results in your business. As AI industrializes beyond research, production quality implementation becomes increasingly important. Business leaders now deploy AI models at scale, and software applications with inference capabilities are accelerating at an unprecedented rate. 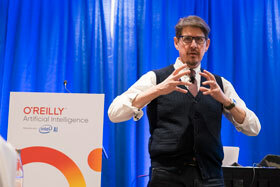 Find out how early adopters are gaining an edge—at the expense of slower moving competitors—at the O'Reilly AI Conference in New York. It’s a rare opportunity to bypass the hype and discover how emerging developments can be applied into practical and profitable AI you can implement in your business today. Immerse yourself in two days of in-depth education on topics critical to your business success. Training courses take place April 15-16 and are limited in size to maintain a high level of learning and instructor interaction. We believe that true innovation depends on engaging with people with a variety of perspectives. Read our Diversity Statement and learn about our Diversity and Inclusion scholarship program. At the conference, we provide a nursing room and all-gender restroom access; we also offer childcare expenses reimbursement. We're committed to creating a safe and productive environment for everyone. Please read our Code of Conduct. 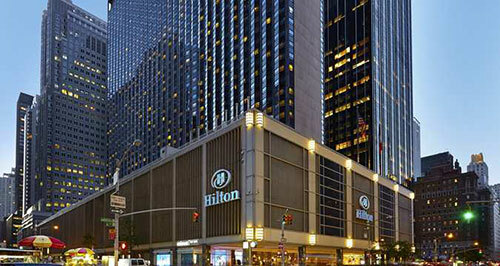 The conference will take place at the Hilton Midtown, a spectacular location just steps from Central Park, Times Square, and world-class entertainment destinations. Make the most of your limited time to network and learn by staying at the official conference hotel. Receive weekly insight from industry insiders—plus exclusive content, offers, and more on the topic of artificial intelligence.